View life as a race, and you're bound to feel left behind. There are always others who started earlier, started ahead, are natural runners, had longer legs, had better shoes – whatever the reason. "Getting ahead" financially, though, is not about getting ahead of someone else. That's not the point. It's about getting to a better future position from wherever we're at right now – making the most of our money situations through the best possible decisions. One of the five mistakes is choosing a provider before an investment option. Liz Koh: "There is nothing wrong with paying higher fees if the provider delivers consistently higher net returns after fees." Generate Focused Growth fund is the #1 performing for the financial year ended 31 March 2018. Generate Focused Growth fund is the #1 performing and therefore best value for money KiwiSaver Diversified Growth Fund for the financial year ended 31 March 2018. Returning 14.85% for the year after fees! Disclaimer: Past performance is not a reliable indicator of future performance. Returns are after fees and before taxes and administration fees. Results are from the FundSource website for KiwiSaver Diversified Growth Funds. Most young KiwiSaver members are planning to use the savings scheme to get into a first house, not provide for their retirements. But many lack basic information about their investments. Active v Passive? Platinum International Fund has returned 13% p.a. since inception which is close to double what global markets have offered over that 23 year time period. They are one of Generate's underlying fund managers and here is a great presentation from them. Should teens learn essential life skills at school? English, Biology Statistics and everything in between are still obviously essential school subjects. But Erin Reilly thinks a Life class is essential too – one that should be compulsory. In this class, students could learn how to be safe (and kind) on the internet, including how to identify fake news and read critically. It would dive right into money management; not simply budgeting, but making money work for them including spending well, saving, investing, giving, Kiwisaver and retirement, buying a house. 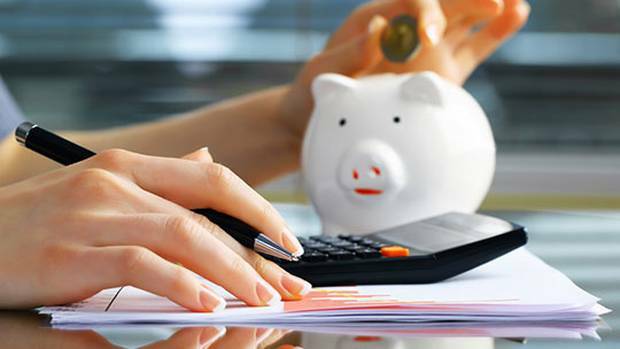 Retirees in the Netherlands receive more than 100 per cent of their country's average working wage but Kiwi superannuitants get just 43 per cent - ranking it 6th worst equal with Australia. But it could be worse. There is no shortage of opinion pieces or expert commentary making the case that Kiwis are financially illiterate. Apparently we’re not good with savings, we don’t plan for the future, and we do not take even simple actions (like switching out of our default KiwiSaver funds) to optimise our future financial security. But are individuals wholly to blame? It can be difficult making decisions for the future when many of us have the day-to-day pressures of the here and now, but boosting your KiwiSaver fund does not have to cost money. Canstar looks at six ways to improve your balance without throwing money down the drain on fees. It's human nature to ignore something that is only going to happen decades in the future. As a result New Zealanders are making mistakes with their KiwiSaver funds. Even a $5 or $10 weekly payment will grow over time into a decent-sized financial bonus in your retirement.